The Fischoff Competition is the largest, longest-consecutively running chamber music competition in the nation and the world. This homegrown national treasure was started 44 years ago by local educators and musicians who wanted to create a world-class, educational chamber music competition located right here on the south bend of the St. Joseph River. These visionaries would be amazed at how their modest competition has grown! Each year, 49 ensembles representing the finest music schools are invited to perform at the University of Notre Dame’s DeBartolo Performing Arts Center - all hoping to win a coveted Fischoff prize. In 2016, a global audience focused on South Bend as viewers from 69 countries watched the competition’s live-streaming. Equally committed to music education, Fischoff invites its competition alumni to return to our community each year to present free, innovative music programs to 4,000 children and youth in local schools and community centers. Fischoff's programming includes the Fischoff Competition, Peer Ambassadors for Chamber Music, Arts-in-Education residencies, soirees, the Double Gold Winners Tour, and the Mentoring Project. Fischoff will use the funding to support the Fischoff Competition and our community educational performances. The Fischoff Competition is a global sensation, yet, it remains funded through the generosity of our local community. Funding will help with juror, equipment and staffing needs. 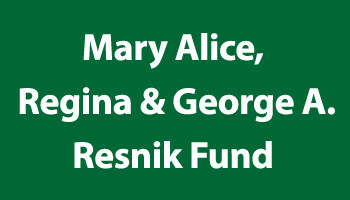 Funding will also help support costs associated with Fischoff’s Peer Ambassadors for Chamber Music program, which sends competition ensembles into area elementary school classrooms to perform and talk with 3rd & 4th graders about the value of participating in music. These students are at the cusp of choosing whether or not to participate in their school music programs and we think that Fischoff’s enthusiastic and amazing ensembles will help sway their decisions in favor of music. Fischoff’s Mentoring Project matches professional chamber music coaches to motivated local high school ensembles. Coaches meet with their ensemble throughout the school year and ensembles are encouraged to perform in community settings. The Double Gold Tour brings Fischoff’s reigning gold medal winners back to our community each fall to perform master classes, workshops and concerts for children, youth, and adults. The Fischoff Competition is a world-class event in our backyard that is free and open to the public. Come visit the University of Notre Dame’s DeBartolo Performing Arts Center May 12-14 to hear performances that will knock your socks off! Each ensemble performs 15-20 minutes and you are free to come and go as you please. Families are welcome. Fischoff relies on an amazing community of 100 volunteers during the Competition weekend. Fischoff is poised to soar into our 45th year! Imagine enlarging the Fischoff Competition and increasing its national footprint so that it is central to America’s art scene. Imagine adding more award-winning residencies during the year for our community children, giving them the opportunity to learn and participate alongside the nation’s finest young peer musicians. Imagine forging new collaborations within our community to increase awareness and participation in the arts, which will make South Bend an even better place to live, work, and grow. All of this is possible and will help Fischoff remain faithful to its mission of inspiring lives through breathtaking performances.